When you have an itchy rash you often don't want to go out or socialize, especially if it extremely itchy and causes discomfort. Also you may not even know you have nummular eczema. When I had a severe rash two years ago I was told initially that it was scabies. That didn't seem right, but I did the pesticide cream treatment and lived in a lot of anxiety that it may have been passed on to other people. When it persisted, I received a second opinion from a dermatologist who thought it was erythema multiforme minor. This was treated with oral steroids and a cortisone cream. 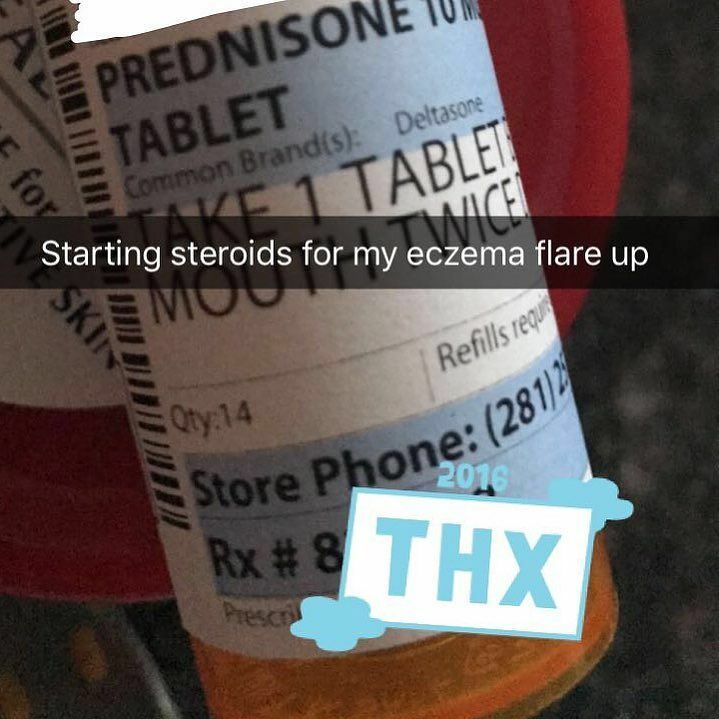 Though the initial rash did improve during the course of the oral steroids, it returned as soon as the twelve day dosage was completed. It wasn't till I sought a third opinion from a dermatologist that I was properly diagnosed with nummular eczema. This dermatitis consists of red circles on the body and they can range in size. There can also be small bumps that appear to be pimples as well as the classical patches of dermatitis. The rash is often on the trunk of the body as well as arms and legs. Though kids have atopic eczema on their faces, many other forms of dermatitis do not strike the facial areas. It is important to not dry the skin out too much. Hot baths are not advised and I made a number of mistakes such as using water that was too hot for body washing. It is a good idea to use moisturizers like bath oils, and moisturizing creams after any bathing. This was emphasized by the third dermatologist I saw and was very helpful for skin improvement. There are natural moisturizers that contain coconut oil and olive oil. Local drug stores have dermatologist approved lotions. The benefit of a good moisturizer is that it relieves the itching and dryness associated with the rash. My doctor still advised using a cortisone ointment twice a day, but stated that moisturizing twice a day was also essential. If there is any weeping, leaking or scabbing of the eczema, you may be prescribed antibiotics. When you take an antibiotic for a skin condition, you need to finish the dosage like you would if you have a respiratory infection such as bronchitis. 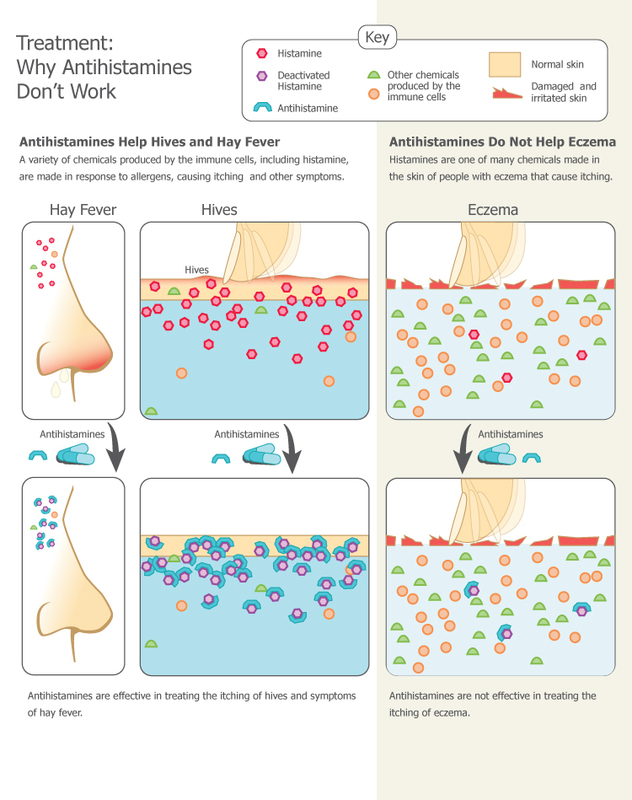 Antihistamines are taken to reduce the itchiness that is associated with the rash. Though I was initially resistant to this, it was important for sleep management and to focus at my job. Because the evening antihistamines have a sedating effect, it is better to only use this at night. You may be itchy at work using a milder antihistamine, but it is necessary to focus and drive. Treatments with ultraviolet light have helped some people with chronic nummular eczema when used a few times a week. However, there are some cases where it is not advised and your physician will help you determine if you are a candidate. It is important to research how you can control nummular eczema because it is more difficult to clear up than atopic dermatitis. It also tends to come back after treatment has stopped so consult with your dermatologist or general practitioner to come up with long term treatments for this skin condition. Taking supplements for skin care, boosting your immune system and staying hydrated are also very important for making progress.